Access to 214 skills introduced in the original Guild Wars® campaign. Take your game to a new level by unlocking 214 skills introduced in the original Guild Wars® campaign. 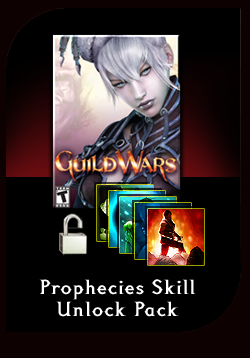 You must own either the original Guild Wars® or the PvP Access Kit before you can purchase this kit. Access to these unlocked skills for your PvP characters and your PvP Heroes and PvE Heroes.